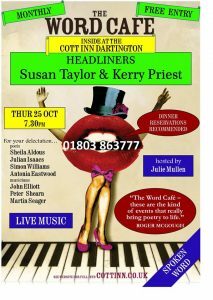 Julie Mullen’s superlative spoken word night, The Word Cafe, has survived its move from London down to the wilds of Devon. 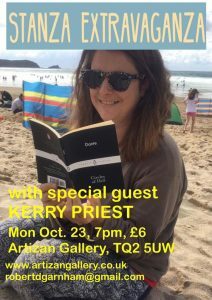 It is now firmly established as one of the best poetry events in the South West and it is an absolute pleasure to be reading there. Sharing the bill are Susan Taylor, whose wild and mythical words are simply spellbinding and also Antonia Eastwood, who brings a phenomenal energy to the stage. Last few signed copies left. Give the gift of poetry this Christmas! May as well try and send these out while it’s stil 2018, I guess! A copy can be yours for only £10 including post and packaging to the UK. Send me a message through the contact me page or via @kes_priest on Twitter to get your hands on it. “Medicine Wheel” to appear in Acumen September 2018. I am working on a sequence of poems about my experiences of IVF, drawing together themes of science and magic. Medicine Wheel was the first fruit of what I hope will one day become a pamphlet. The poem uses the language of shamanic ritual and explores what happens when we fail to tame nature through either natural or supernatural means. I wrote a play and did the sound design for it. It was my first foray into radio drama and an amazing learning exercise. The play has been syndicated to 26 radio stations through the Radia network, based in Vienna. If we could hear the voice of nature, what would it say? And could humans use technology to strengthen their connection with nature? Starting with the music and letting this guide the story, the Assisi Machine is a thrilling murder mystery which puts electronic sound technology at the heart of the action. The show features three drone music sound collages which help move the plot along. Parts of the play are written in dramatic verse, a favourite form of Shakespeare and Goethe, which is pretty unknown in recent times. 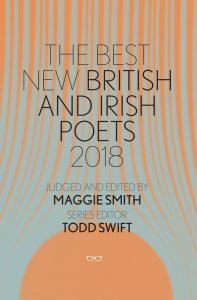 I have been selected for Eyewear’s anthology, Best New British and Irish Poets 2018. 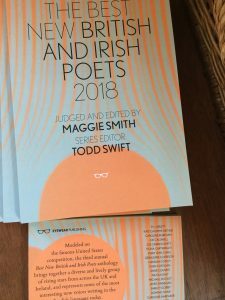 My poem “The unintentional side-benefits of a slow and premature death” will appear alongside poets such as Mary Jean Chan and Geraldine Clarkson. Maggie Smith says in her introduction that she particularly liked “Kerry Priest’s… brilliant use of gallows humour”. 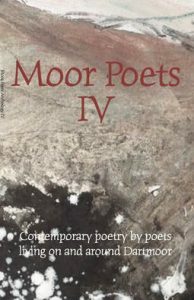 “Mid-afternoon” and “Learning the Ropes” will appear in the Moor Poets Anthology 2018. 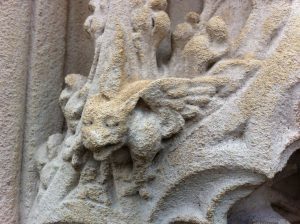 “St Davids” was published in The Broadsheet in September 2017. Pucker poets stage, Glas-Denbury Festival, July 2017 and 2018.